Earn CE Wherever YOU Love to Be! Is it Ethics or Law? 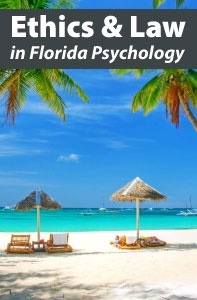 In my position as chair of the Florida Psychological Association’s Ethics Committee, I frequently receive telephone calls from psychologists asking for guidance about ethical concerns. However, the majority of questions I hear actually have nothing to do with ethics, per se. Rather, they are queries about the law and psychologists often seem surprised to find that they are blending the two realms in their minds. I’ll try to clarify how to tell if a dilemma is ethics or law in this column. Laws are rules of conduct established by a community or authority and enforceable by that entity. The underlying philosophy of the law is called jurisprudence. Certainly, it may be claimed that ethical concerns are often at the root of our laws, but ethics do not carry the power of law. In order for laws to have real meaning, a system of punishments is often established and enforced. In the United States, laws are established and enforced by federal, state, county and local governments. Ultimately, therefore, we may obey a law that conflicts with our ethical code. However, if our ethical obligations represent a higher moral standard than the law, we are obligated to embrace that higher level. And, we are bound to consider a variety of sources of guidance, including that found in our own conscience. We are required to engage in a “process” that can be complex and not always satisfying. An example of this process may be briefly discussed relative to laws requiring psychologists to report child abuse. What is to be done if a nearly 18 year-old patient tells you that he was abused by his stepmother when he was 12? He has had no contact with his stepmother for five years since his father divorced her and she moved to New Zealand. Therapeutically, is it in the patient’s best interests to report the abuse? If not, our ethical standards would suggest that it not be done. However, the law requires it. Therefore, law trumps ethics. However, your consultation with peers and a personal examination of conscience may ultimately lead you to consider not making the report. Yet, to not report the incident is a violation of the law. What do you do? Nobody said it was going to be easy. 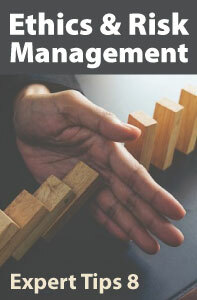 This article is one of 28 included in the 3-hour online continuing education course Ethics & Risk Management: Expert Tips 8 that addresses a wide variety of ethics and risk management topics, written by experts in the field. *This course satisfies the ethics & boundaries requirement for license renewal of Florida counselors, social workers & MFTs. 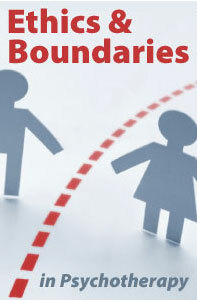 It also includes teachings from the 2014 ACA Code of Ethics to meet the ethics requirement of West Virginia counselors. Professional Development Resources is a nonprofit educational corporation 501(c)(3) organized in 1992. We are approved to sponsor continuing education by the American Psychological Association (APA); the National Board of Certified Counselors (NBCC); the Association of Social Work Boards (ASWB); the American Occupational Therapy Association (AOTA); the American Speech-Language-Hearing Association (ASHA); the Commission on Dietetic Registration (CDR); the Alabama State Board of Occupational Therapy; the Florida Boards of Social Work, Mental Health Counseling and Marriage and Family Therapy, Psychology & School Psychology, Dietetics & Nutrition, Speech-Language Pathology and Audiology, and Occupational Therapy Practice; the Ohio Counselor, Social Worker & MFT Board and Board of Speech-Language Pathology and Audiology; the South Carolina Board of Professional Counselors & MFTs; the Texas Board of Examiners of Marriage & Family Therapists and State Board of Social Worker Examiners; and are CE Broker compliant (all courses are reported within a few days of completion). 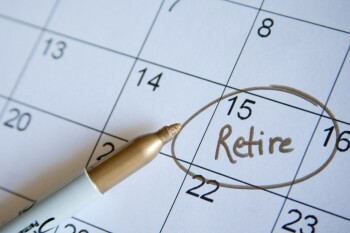 Retiring is a huge step, professionally, financially and personally. It requires thought, reflection and planning. Like starting our careers, for the most part the decision to retire should both make sense and feel right. It should ideally be a decision of the head and the heart. The professional aspects include preparing ourselves emotionally, preparing our clients and getting numerous ducks in a row. Once we have decided to retire and feel confident it is right for us, we need to address these aspects. This might not sound like much because we have decided it is in our best interest to do so in many cases. If the decision is based on outside forces, like the needs of a spouse or an illness, then we may have other emotional work to do. However the decision is made, we must confront two issues, the loss of professional identity and letting our clients down or at least losing those relationships with people for whom we have cared. It is best to work through these issues before sharing our decision with our clients. We have spent our professional lives taking care of our clients and we are about to tell them we are no longer going to do that. The APA Ethical Principles (Standard 10.10 (c) Terminating Therapy) requires that we provide pretermination counseling for our clients when ending treatment. 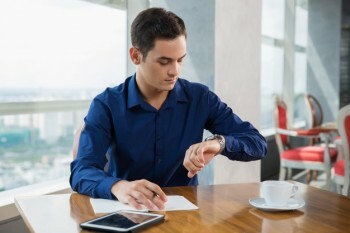 Part of our retirement plan should include a timeline for telling clients because some may need more time than others to address termination issues. For me it was important that clients hear it from me and not anyone else. I gave a few clients six months’ notice and one client even more because a new, serious issue had arisen and I didn’t think it could be addressed in the time left. I informed the client of my plans and gave the client the choice of working with me until I retired or start this new issue with someone else. I then took one month to inform the rest of my clients, so everyone had at least three months’ notice. This gave us time to wrap up some issues, review our work together and plan for additional treatment, either immediately or in the future. It was helpful to me to write a letter to give to my clients at our last session. It included a personal note as well as the names of three professionals whom they could contact for treatment. I placed a copy of the letter in their files. This includes things ranging from moving out of our office, stopping or changing services such as liability insurance, professional memberships, phone, internet, ads and websites and notifying collaborating professionals. Ethically, and in many cases, legally, it includes record keeping issues. APA Ethical Principle (Standard 6.01 Documentation of Professional and Scientific Work and Maintenance of Records) requires that we maintain records in such a way that they can be used by additional therapists to ensure continuity of care and we must securely store our files and keep them for a time specified in state regulations. We must also adhere to state regulations regarding the closure of a practice. For example, in New Jersey we must place an ad in an appropriate newspaper once a month for three months, starting with the first month after we have closed our practice. The ad must include information about where clients may contact us if they want their records. Finally, with all the tasks and changes surrounding retirement we should make sure we have revised our professional wills. The revised will should include how to access our records with instructions for their appropriate and timely disposal. Once the i’s have been dotted and the t’s crossed, enjoy! Good records are needed for many reasons, and making sure they are accurate and correct is important. But, altering records is unethical and can lead a therapist into great trouble with licensing boards or the courts. Good record keeping helps clinicians organize the treatment plan and enhances the quality of care. A record of treatment helps maintain a continuity of care when clients shift to new therapists. It protects clinicians in cases of board investigations, lawsuits, subpoenas, etc. It helps in the event of the therapist’s sudden disability, death, etc. And, keeping records is a mandated part of the standard of care. When there is an incorrect notation regarding diagnosis, CPT code, prognosis, type of intervention, client’s behavior, motivation, plans, dangerousness, etc. Accidentally writing a wrong word or term in the notes. A client makes a valid request to amend the records, a right that is an option for clients under HIPAA with Covered Entities (if the therapist agrees with the request). Records inform subsequent therapists and are critical for determining a continued course of treatment. Records can determine a client’s eligibility for disability, retirement, keeping a job, maintaining custody of a child, security clearance, capacity to stand trial, etc. Inaccurate or wrong records can be costly, particularly in litigation, for clients, therapists or other people involved. There are no acceptable reasons for altering records, but some therapists attempt to alter records after they receive a subpoena or at the request of an attorney. Also, altering diagnoses or CPT codes so clients will be eligible for insurance reimbursement is clearly unethical and substandard care. Erasing, deleting, removal, re-writing, wite-out, and similar ways of “correcting” records, where the original records are NO longer visible or adding content at a later date without indicating that changes took place are NOT acceptable and can be easily seen as an attempt to distort, conceal, hide, commit fraud or mislead. Note that forensic experts may be able to detect altered typed-up clinical notes or EHR which have been tampered with. Altering records is unethical and below the standard of care and can result in licensing board discipline, a malpractice suit or a criminal investigation. In summary, DO NOT alter records. Ways of changing or correcting records are neither specified in law or regulation, nor in the codes of ethics. Transparency seems to be a key issue. While HIPAA gives clients the right to review their records and request corrections, it does not specify how these corrections should be made (assuming the therapist agrees to make the requested changes). If strikethrough is used, it should be made to the language to be changed, where the strikethrough original text is still readable. Indicate the date, time, reason and who initiates the change. Treat typed-up records as handwritten records, print them, sign, date and mark/highlight/initial/date the corrections or use a “track changes” program. 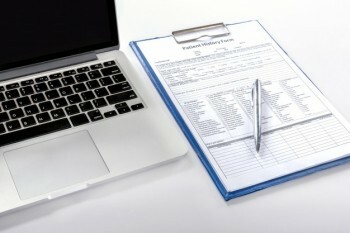 Correct online/electronic health records as you would any printed or handwritten records. Finally, when in doubt, CONSULT (before you impulsively act). Ethics & Risk Management: Expert Tips 8 is a 3-hour online continuing education (CE) course that addresses a wide variety of ethics and risk management topics, written by experts in the field. This online course provides instant access to the course materials (PDF download) and CE test. After enrolling, click on My Account and scroll down to My Active Courses. From here you’ll see links to download/print the course materials and take the CE test (you can print the test to mark your answers on it while reading the course document). Successful completion of the online CE test (80% required to pass, 3 chances to take) and course evaluation are required to earn a certificate of completion. Professional Development Resources is approved to sponsor continuing education by the American Psychological Association (APA); the National Board of Certified Counselors (NBCC ACEP #5590); the Association of Social Work Boards (ASWB Provider #1046, ACE Program); the American Occupational Therapy Association (AOTA Provider #3159); the Commission on Dietetic Registration (CDR Provider #PR001); the Alabama State Board of Occupational Therapy; the Florida Boards of Social Work, Mental Health Counseling and Marriage and Family Therapy (#BAP346), Psychology & School Psychology (#50-1635), Dietetics & Nutrition (#50-1635), and Occupational Therapy Practice (#34); the Ohio Counselor, Social Worker & MFT Board (#RCST100501); the South Carolina Board of Professional Counselors & MFTs (#193); and the Texas Board of Examiners of Marriage & Family Therapists (#114) and State Board of Social Worker Examiners (#5678). In June, 2015, The New York Times published a story highlighting Charlize Theron’s decision to dump Sean Penn by suddenly refusing to respond to his texts. This widely shared article drew attention to the disappearing act known as “ghosting,” which also surfaces as a frequent topic in psychotherapy. Rejection is painful, no matter how you slice it. The digital age has made it easy to reject someone without engaging in a direct conversation. This passive-aggressive strategy leaves jilted individuals longing for information and wondering what went wrong. In addition to its role in terminating relationships, ghosting is also an unfortunate strategy for ending therapy. While not the norm, ghosting a therapist is an under-discussed phenomenon. Most, if not all, clinicians have experienced a client who calls to cancel a session, states intent to reschedule and then disappears. 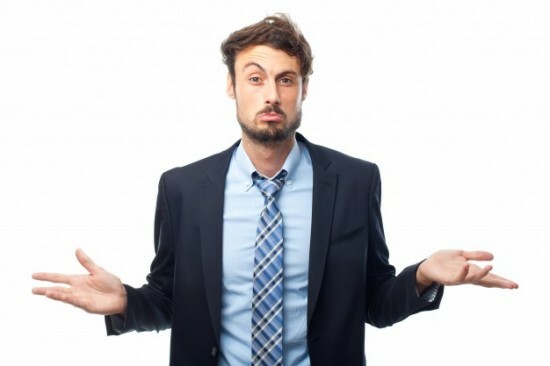 Equally unfortunate is the client who does not show up for a session, does not respond to attempts to follow up and is never heard from again. It is much easier to ghost a therapist than it is to ghost a suitor. Therapists are usually trained and ethically obligated to follow up once or twice, but anything more can constitute a violation of the client’s privacy. Most professions in the psychotherapy field have some ethical guideline stating the professional’s obligation to know who is currently in therapy and who has ended. Clinicians should consider difficult questions, such as whether a client is still in therapy if he or she does not show up for a session, does not return a clinician’s follow-up call and then weeks later causes life-threatening harm for himself or herself or another person. In concert with this ethical principle, I emphasize the importance of goodbyes and let clients know that I will respect decisions to end therapy. I make a deliberate effort to understand the urge to end without saying goodbye, and I encourage clients to schedule a final session to evaluate our work before they terminate. It was not until I read about it in The New York Times that I learned the term ghosting – and I’m glad to discover that such a suitable term for this troubling phenomenon has entered the public lexicon. Interestingly, when clients open up about how much it hurts to be ghosted, they can often recall several stories in which they have ghosted others. Many times, they don’t realize that they have ghosted others until I ask. Even more relevant, such experiences often relate to primary formative relationships. These earlier experiences are usually more meaningful and worthy of exploration than trying to over-analyze the motivations of a random “match” on Tinder who seemed great until he or she became a ghost. Our society shies away from endings. They are awkward and uncomfortable and it is easier than ever to avoid them all together. The same client who speaks of how much it hurts to be ghosted will describe skipping a friend’s going-away party, or convincing an employer to not plan a departure celebration so that they can move to a new job without saying a proper goodbye to co-workers that have been a significant part of their lives for years. Each ending is an excellent opportunity for emotional growth. The passive-aggressive act of ghosting represents a missed emotional opportunity. Concluding a relationship with the respect it deserves demonstrates the ability to own and articulate an independent decision. Therapists who are willing to emphasize endings with clients are using the clinical relationship to help clients practice more adaptive relational patterns while simultaneously attending to important ethical obligations. What is an Emotional Support Animal (ESA)? Most people enjoy dogs and find great pleasure in having them around. All of that is fine, but there is a growing trend among those who want to be with their dogs that should be of particular concern for therapists. Therapists are frequently being asked by their patients to attest to their need for an Emotional Support Animal (ESA) for mental health purposes, which allows that animal to be present in what previously would have been a restricted environment. Theoretically, the presence of the ESA has positive psychological impact on the owner and reduces the impact of a diagnosed psychological disability from which the owner suffers. In order for an ESA to be classified as such, a mental health professional must write a letter stating that presence of the pet mitigates symptoms of that disability. Most mental health professionals do not know the complexity of this area of regulation. Yet, many seem more than happy to certify their patients as being in need of an ESA. Under the law, ESAs are not the same as psychiatric service animals and they do not require the training that is necessary to certify an animal as an American’s with Disabilities Act (ADA)-compliant service animal. However, ESA status does allow the animals to be in otherwise restricted areas such as aircrafts and housing that otherwise prohibit pets. The Air Carrier Access Act (ACAA, 14 CFR 382, 2003) specifically requires airlines to allow service animals and ESAs to accompany their handlers in the main cabin of an aircraft at no charge. While appropriate documentation from a therapist does not allow the ESA access everywhere, it requires waiving a no-pet rule and also any related damage deposit in housing that does not otherwise allow pets. This is because, under the Fair Housing Act (FHA) (42 U.S.C. 3601), an emotional support animal is viewed as a “reasonable accommodation” in a housing unit that has a “no pets” rule for its residents and the imposition of a fee would be contrary to the purpose of the law (https://www.animallaw.info/article/faqs-emotional-support-animals). Such an activity is considered extra-therapeutic and is similar to providing disability statements for clients. Consequently, it is not without administrative risk and can significantly complicate therapy if not handled properly. This complication includes the development of role conflicts and related conflicts of interest that place the therapist’s job as a treating professional in conflict with the role as evaluator. The APA’s Specialty Guidelines for Forensic Psychologists consider extra-office practices, like writing an ESA letter, to be forensic-like activities because they are providing administrative information to others to assist them in addressing the patient’s psychological condition for a non-clinical purpose. Therefore, this is arguably not a clinical activity and frequently has nothing to do with treatment. Be mindful in writing ESA-support letters. It is a crime to fraudulently certify an animal as a service dog or an emotional service animal, putting the therapist who does so in potential legal trouble. Further, should the special accommodations recommended in the letter written by the therapist become a matter of legal dispute, they may be called upon to justify statements in a deposition or in open court. The research evidence is limited. Very few controlled empirical studies support the conclusion that the presence of animals impacts loneliness and is actually longitudinally therapeutic. In fact, the empirical research on this topic is inconsistent and is clearly in the early stages of development (Ensminger and Thomas, 2013). While patients might want their animals to travel with them, and even feel that they need the animal to feel safe or better, there is questionable evidence that this does anything therapeutically. Treating therapists have an important role in recommending that a patient has an ESA if that recommendation is part of a treatment plan. 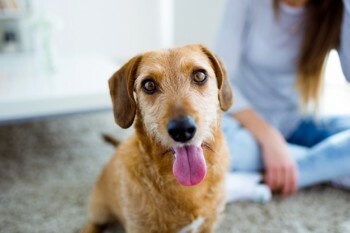 However, the therapist must remember that the recommendation for an ESA could result in a permanent state of affairs that could carry potential legal consequences if that certification becomes disputed and the animal is no longer clinically necessary. The easiest way to avoid the dilemma of being asked to provide an ESA support letter is to clarify the limited evaluative activities the therapist is willing to perform as part of the initial informed consent. This type of clarification at the outset of treatment can go a long way in reducing problems that stem from patient requests for extra-therapeutic services. Whether one agrees with the author’s conclusion that these types of evaluations are forensic, one must agree with the conclusion that separating the treatment issues from those that are administrative in nature avoids any potential role conflict and is in the best interests of the therapy. Remember, this is an official disability determination and not simply something designed to make the client happy. Can Confidentiality be Maintained in Group Therapy? – Discusses ethical issues involved in conducting group psychotherapy. A Short Course on Encryption and Cloud Storage – Provides answers to common questions about encryption, cloud storage, confidentiality, and HIPAA. Retiring Ethically – Reviews the professional aspects of preparing for retirement and the various tasks and challenges involved. Coping with Disruptions in Practice Due to Death or Disability – Shares two stories of a practice lost to sudden death, and the steps you can take to prepare for unexpected disruptions. Informed Consent: Ethical Challenges and Opportunities – Provides an overview of the ethical obligations related to informed consent and outlines three ethical challenges. Ethical Practice and the Challenge of Vicarious Trauma – Examines how vicarious exposure to traumatic material can dramatically impact clinicians both personally and professionally. Competence for Execution: the Ethical Binds – Summarizes the complex issues involved in determining if a person is competent for execution. Sorting through Professional Liability Insurance for Needed Coverage – Offers guidance and considerations for choosing between Occurrence Form Coverage and Claims Made Coverage. Closing a Practice: Practical, Ethical and Clinical Dimensions – Reviews the tasks and challenges involved in terminating a psychotherapy practice. Is it Ethics or Law? – Discusses the similarities and differences between ethics and law, and what to do when they conflict. 21st Century Changes Ethics for Private Practice – Shares personal experiences dealing with security breaches and offers guidelines for using technology in your own practice. Ethical Considerations for Clinical Supervisors – Examines the impact of supervision on supervisees and their clients, including competence, clinical oversight, and informed consent. Correcting vs. Altering Records – Discusses the importance of keeping good treatment records and offers guidance for what to do (and not to do) when needing to make a correction to your records. Ethical Considerations for Media Presentations – Offers considerations to keep in mind when using the media for professional purposes (the article focuses on radio and television, but can also be applied to the internet). ‘Ghosting’ May Create Ethics Issue – Discusses the passive-aggressive strategy of “ghosting” and offers guidance for what to do when it happens to you, the therapist. Reducing Risk in Treating Divorcing Families – Provides an overview of several risk management practices for therapists who work with divorced or divorcing families, particularly the children of divorcing families. Who Let that Doggie on the Airplane? – Examines the growing trend of Emotional Support Animals (ESA) and what to do when you are asked to provide an ESA support letter. Informed Consent: Records and Fees – Highlights areas of the treatment relationship and issues related to informed consent in the areas of providing records when requested and in establishing fees. Cloud-Based File-Sharing Can be HIPAA Secure – Shares several options for storing and sharing information securely through the cloud, so therapists no longer have to rely on the burdensome methods of faxing or sending patient documents via proprietary networks. Social Media and Ethics – Offers guidance to help clinicians engage in meaningful self-reflection prior to engaging in social media for the purpose of preventing ethical breaches. Therapists Must Keep Pace as Technology Changes Practice – Discusses the change in the method of creating and maintaining patient files, evidenced by the increased use of electronic records, and the areas of concern involved. Ethical Ways to Counteract Negative Reviews Online – Explains how to manage your online reputation, including what you can ethically do if you receive a negative review – real or not. The Wounded Psychologist: Adverse Effects from a Licensing Complaint – Explains why licensing boards were created, how licensing board complaints are dealt with, and the negative effects of complaints on clinicians. Disclosures for Forensic Evaluations – Discusses the requirements for disclosure in forensic evaluations. Reimbursement Diagnoses may be Co-Morbid – Reviews the ethical, legal and professional challenges of balancing concern for diagnostic work with insurance reimbursement issues. Giving Professional Commentary on Public Figures – Offers advice on what you can or shouldn’t say when asked to comment on public figures. Managing Risk with Alcohol-Abusing Clients – Provides guidance on developing a dual-purposed informed consent agreement with working with special populations such as alcoholics or those characterized by high risk (e.g., suicidal or borderline personality disorder) behaviors. Direct Secure Messaging is Best Electronic Option for Mental Health Records – Discusses use of Electronic Health Records (EHRs), concerns about the potential unrestricted flow of Protected Health Information (PHI), and how Direct Secure Messaging (DSM) can help. Ethics & Risk Management: Expert Tips 8 is an online course that provides instant access to the course materials (PDF download) and CE test. After enrolling, click on My Account and scroll down to My Active Courses. From here you’ll see links to download/print the course materials and take the CE test (you can print the test to mark your answers on it while reading the course document). Successful completion of the online CE test (80% required to pass, 3 chances to take) and course evaluation are required to earn a certificate of completion. Click here to learn more. Have a question? Contact us. We’re here to help!